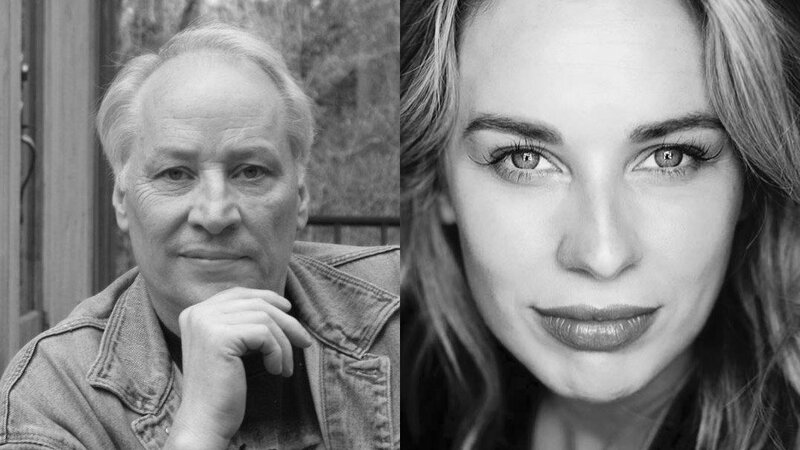 Kasey & Joe R. Lansdale will be presenting their new book, Terror is Our Business: Dana Roberts’ Casebook of Horrors. Sherlock Holmes: arguably the most recognized detective in modern history. As the brains of any investigation, it’s no wonder that the heart of his partner John Watson is what rounds out this duo to create a textbook definition of success. This complementary dynamic is at the epicenter of the collaborative story from Joe R. Lansdale and daughter Kasey Lansdale. Terror is Our Business: Dana Roberts’ Casebook of Horrors [Farolight Publishing, May 29, 2018] introduces readers to the world of Dana Roberts and her frightening career as an investigator of what she calls the “supernormal.” While she doesn’t believe in the supernatural, she does believe in unknown worlds. And teaming up with her Watson-like partner Jana makes solving what can only be described as very unusual mysteries from beyond the veil that much more riveting. Joe R. Lansdale, with more than forty books to his credit, is the Champion Mojo Storyteller. He’s been called “an immense talent” by Booklist; “a born storyteller” by Robert Bloch; and The New York Times Book Review declared he has “a folklorist’s eye for telling detail and a front-porch raconteur’s sense of pace.” Lansdale has won numerous awards, including sixteen Bram Stoker Awards, the Grand Master Award from the World Horror Convention, a British Fantasy Award, the American Mystery Award, the Horror Critics Award, the Grinzane Cavour Prize for Literature, the “Shot in the Dark” International Crime Writer’s Award, the Golden Lion Award, the Booklist Editor’s Award, the Critic’s Choice Award, and a New York Times Notable Book Award. His series of novels Hap and Leonard was adapted into the hit SundanceTV series in 2016 and is currently in its second season. He resides in Nacogdoches, Texas, with his wife, Karen, writer and editor. For more information, visit www.joerlansdale.com. Kasey Lansdale, first published at the tender age of eight by Random House, is the author of several short stories and novellas, including stories from Harper Collins and Titan Books, as well as the editor of assorted anthology collections, including Subterranean Press’ Impossible Monsters. She is best known as a Singer/Songwriter. Most recently, you can hear Lansdale as the narrator of various works, including Stan Lee’s Reflections, George R.R. Martin’s Aces Abroad, and George A. Romero’s latest installment, Nights of the Living Dead, among others. Her forthcoming anthology, Night Terrors, is set to release Spring of 2019. For more information, visit www.kaseylansdale.com.